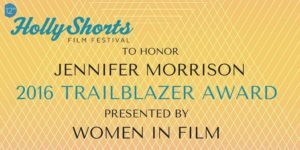 HollyShorts Film Festival, sponsored by BITPIX, announced today that the esteemed actress-director-producer Jennifer Morrison (ABC’s Once Upon A Time) will be honored with the 2016 HollyShorts Trailblazer Award on opening night, presented by Women in Film at the 12 Annual Hollyshorts Festival. The festival will also showcase Morrison’s 10-minute short film “Wild Wild Horses,” which she directed and co-stars alongside Rose McIver and Geoff Stults and captures the tension of a couple who are haunted by a ‘ghost’ of their past. The short film is scored to the debut EP, “Ordinary Life,” from the rock band Wild Wild Horses who will also perform at the festival. Morrison most recently launched her own production company Apartment 3C Productions with several high profile projects in the pipeline. The first feature film under Morrison’s new company is an indie movie that she directed and produced called “Sun Dogs,” which just wrapped principal photograp hy. The film is written by Anthony Tambakis and stars Michael Angarano, Melissa Benoist, Allison Janney and Ed O’Neill. Previous HollyShorts honorees include: The Russo Brothers, Eli Roth, David Lynch, Joe Carnahan, Matthew Modine, Bill Plympton among others. HollyShorts 2016 runs August 11-20 at the TCL Chinese Theater and surrounding locations in Hollywood. The organizers will be unveiling the entire opening night lineup in the coming weeks along with the official selections, which will feature over 400 short films from around the world. For a limited time festival access passes are now available for half off the regular price and can be purchased by visiting Bitpxtv.com. 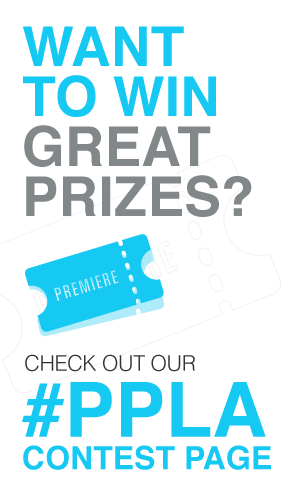 For more information, visit Hollyshorts.